Young Deuces drops visuals for “Run of Harriet” The Real Midwest Radio | 24 Hrs Of Non-Stop Midwest Hip-Hop! Young Deuces has been on a roll lately, dropping some real dope visuals from his album, My Unapologetic Black Thoughts. His latest effort comes in the form of animation for his song “Run of Harriet” produced by K. Mel Beatz. 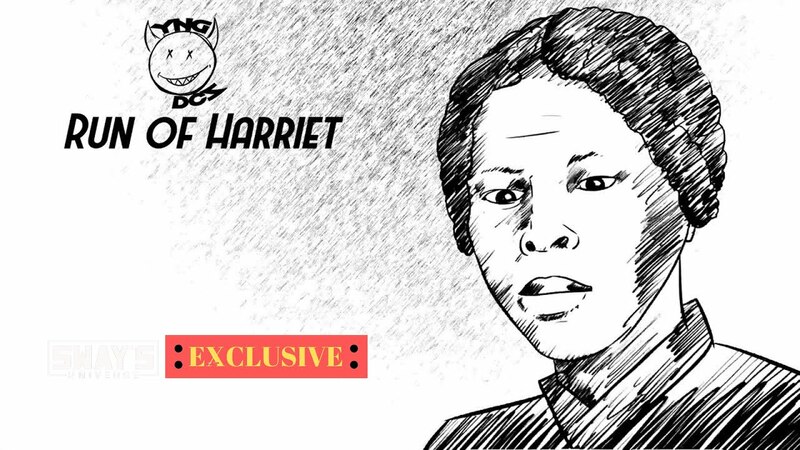 The video depicts a young Harriet Tubman, looking for the perfect song as she goes on her run. The run she is going on is to wake up the “Lost” folks of the culture with her #WokeJuice gun. In the video she runs across Stacey Dash at Fox News, Ben Carson in his Office, Floyd Mayweather stepping out of the Gucci store (#FacePalm), Omarosa at a press conference & ends with the crew outside of the White House prepared to save Kanye West from Donald Trump. The video was exclusively brought to you by Sway’s Universe.